HBO is digging in for The Leftovers: Vulture hears the pay cable network is moving forward with production of a pilot for the Damon Lindelof–Tom Perrotta drama, barely six months after first putting the project in development. 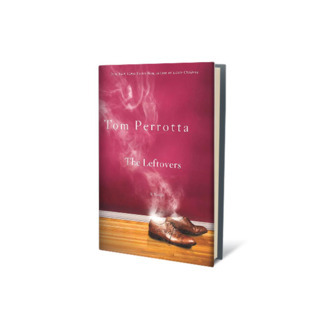 Based on Perrotta’s 2011 novel of the same name, The Leftovers takes place in a world still reeling from a Rapture-like event three years earlier. It’ll explore what happens to those left behind. Back in June, Lindelof told us he’s been intrigued with the concept since he first read Perrotta’s novel: “The fact that there’s this reaping which occurred, and you don’t make the cut, some of us don’t feel worthy, seemed very ripe territory for a cool character drama.” No word yet on who will direct the pilot or when production will begin. If HBO decides to order a series, the network’s go-slow approach to development would indicate The Leftovers wouldn’t debut until 2014 at the earliest. Reps for HBO didn’t respond to an e-mail requesting comment on the pickup.